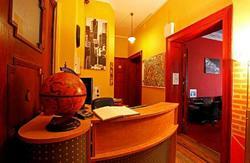 FIRST AND THE ONLY HOSTEL IN POLAND WITH SAUNA FACILITY!!! Coming across the needs of our guests and to serve a bigger number of people visiting Wroclaw, Boogie Deluxe is a perfect solution for people valuing peace, privacy and intimate atmosphere. 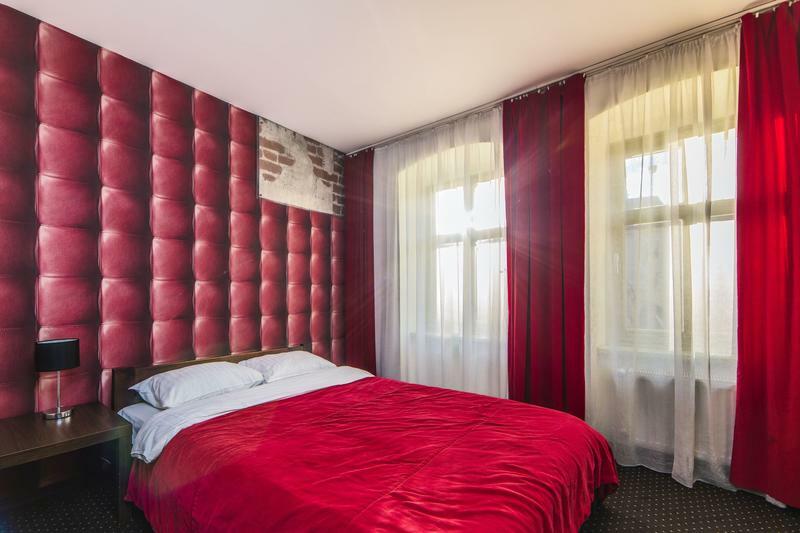 Boogie Deluxe is the newest lodging object of that standard in Wroclaw located in the very centre of the city, just 100 metres from the Square in a beautiful 16th century tenement house at 6 Bialoskornicza Street. Nearby, one can find the most important historical monuments of Wroclaw, such like: the Town Hall, Ostrow Tumski, the University of Wroclaw, the Raclawicka Panorama ot St. Elisabeth Church with a beautiful view tower. The numerous restaurants, pubs and cafes will make every our guest find something for themselves. Boogie Deluxe has been created in order to serve couples, married couples, groups of friends or business clients who value comfort and elegance for a reasonable price. That is why we offer you 12 cosy and intimate rooms. Each of them contains an en-suite bathroom, free Internet connection and satellite TV. Additionally, our guests are welcome to use the specially prepared relaxation room equipped with a reading corner with a possibility of exchanging books, satellite TV, a stationary computer an a mini kitchenette. Our main aim is to satisfy our clients, that is why you are welcome to use the help of our kind and competent staff for 24 hours a day. Another trump of Boogie Deluxe is a small garden which is an ideal place to relax and rest after an intensive day spent in Wroclaw. If you value a friendly atmosphere, comfort, privacy, elegance and perfect location, and hotel or suite prices discourage you to visit Wroclaw, Boogie Deluxe is the place you are looking for!!! Walk 200m to the main crossroad. Cross the street, turn left in to Bialoskornicza street and you will find on your right t big banner of Boogie Hostel in pink XVI-century tenement house.